I remember hearing about “Bronx Prep Mail Out Day” during my first year at the school. I remember thinking that it sounded cool, but it wasn’t until I experienced the electricity and the sheer energy of my first Mail Out Day as a fifth grader in 2008, that I realized it was more than the day senior students mail out their college applications, but a celebration of the start of a new chapter and a unifying of our community. Over the years Mail Out Day continued to help our community come together. Featuring cheerleaders, music, banners, posters, and balloons, it always seemed to get bigger and bigger. It’s almost like a concert, except the main event is the culmination of eight years of hard work. Since fifth grade, it was always instilled in me that one day, that would be me. My time finally came on a beautiful, unseasonably warm day last December. I watched my classmates rush down the stairs of our courtyard, but when my name was called, it was as if the world had gone silent. I could no longer hear the crowd cheering, and I decided to walk calmly down the path to savor the moment. As I calmly made my way to the bottom of the stairs, I got a good look at all the faces of the underclassmen cheering us on. When we left the school, for the post office, we weren’t seniors anymore. 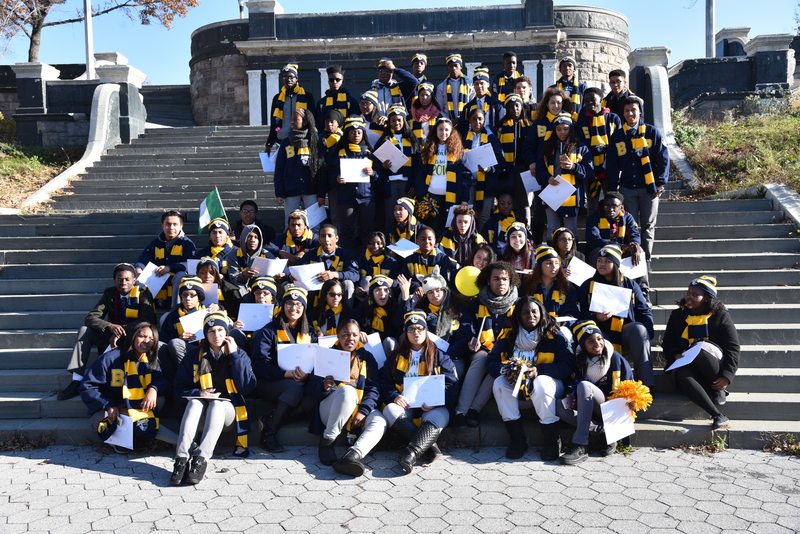 We were one big group of friends, laughing and joking, all decked out in Democracy Prep swag: matching sweaters and hats and scarves with the proud blue and yellow stripes. Suddenly, I understood the most important support comes from each other. That revelation was more beautiful than even the most picturesque, warm winter Friday. It was a surreal experience, made all the more surreal by the fact that we were actually mailing applications at the post office. We all turned in our envelopes to be sent off to colleges and universities, and then we were left with one very important question: What do we do now? Mail Out Day, to me, represents the end of an era. The era of waiting, the era of observing, the era of grit and hard work, and the era of anticipating. But it also represents the dawn of something new. Independence, self-discovery, and action. We’ve only completed the first step on a road of a thousand miles. 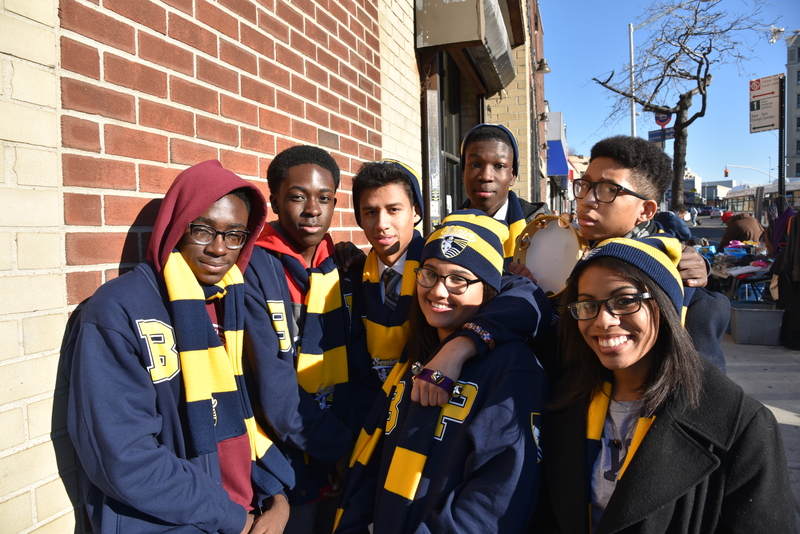 Cris Lopez is a senior at Bronx Prep High School who is eagerly waiting to see what his future will hold.